Do we know Ameerul Momeneen (AS) ? 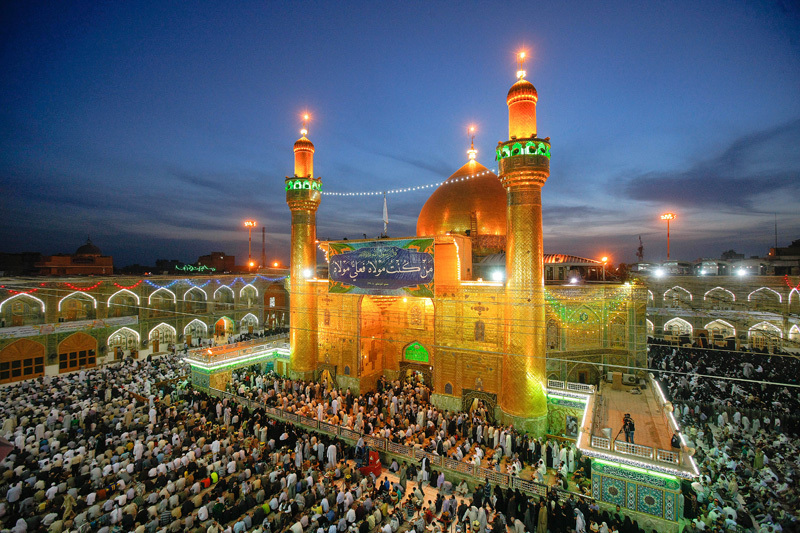 The blessed day of birth of Ameerul Momeneen Ali ibn Abi Talib(AS) has dawned again in our life. This is the day when the world received the successor of holy Prophet(S) which ensured that the religion will be saved and Ummah guided after the holy Prophet(S) is no more present among the Muslims. Imam Ali(AS) is combined with truth in such a way that both cannot be separated from each other. The path of Ali(AS) is the path of truth and every action of Imam Ali(AS) manifests an aspect of truth. To follow the truth and to stay steadfast on the path of truth is obligatory for all Muslims. But to be able to follow the truth, one must be fully aware of the truth. And this is the stage where many go astray as the realization and understanding of truth is not an easy task. But it becomes easy when we know someone whose life is an embodiment of truth and there is not a slight deviation from this in his life. If we look at the life, actions, speeches, sermons, and sayings of such a person we can definitely know the truth. Others pass their generations in search of such an ideal role model, such a perfect human, a specimen of the best a man can achieve, a guide who never fails to guide, an embodiment of truth and justice that truth is recognized by his actions and justice is so much engraved in his subconscious that he is not ready to deprive an insect of a part of straw in lieu of the all treasures of all worlds. Others may wonder forever to find him. But we know his name. We know who is he. He is Ali ibn Abi Talib(AS) the successor of last Prophet(S) of God. But do we know more about him except his name? Do we spend a little of our time to come closer to him? Do we give him that much importance in our life that we could spend few minutes of our day in knowing who Ali(AS) is? Ali(AS) who is the embodiment of truth and justice in the most perfect sense, those who claim to accept him as Ameerul Momeneen do not expend a little of their time to know his thoughts and emotions. What made Ali(AS) cry? What made him happy? What made him angry? How he looks at us as his shia? Do we try to delve into the deeper side his heart? We must utilize this blessed occasion to know Imam Ali(AS) through his own words. We must know Ali(AS) through the statements he made, and mesmerizing sermons he delivered, we must know Ali(AS) through Nahjul Balagha. Let’s take a pledge to increase our understanding of the Ameerul Momeneen (AS). We can do with the help of following text resources. Nahjul Balagha Part 1, The Sermons is the great source for the collection of Imam Ali(AS)’s sermons. You want to know what he wants us to listen? Read his sermons. Nahjul Balagha Part 2, Letters and Sayings read his letters and sayings to know how he used to administer justice and perform governance matters and guide his followers. Selection from Glimpses of the Nahj al-Balaghah Read this great writing of Ayatullah Murtadha Mutahhari to know how great scholars understand the greatness of Nahjul Balagha. All of us desire success. The hope of success is driving force behind our actions. Read What is True Success? Excerpts from Peak of Eloquence (Nahjul Balagha) to understand success from Imam Ali (AS)’s viewpoint. Mashallah the day of the Zahoor of Maula Amir ul Momineen has come and we are in sujood of shukr to Allah Kareem that he has bestowed upon us the gift of Ali Al Murtaza and given us his Beneficience of having in our hearts and in our blood the love of Ahl al Baith. The more we know, the more the thirst increases to hear and to read of Ali ,about Ali, from Ali a.s.
Give us more, let us know, let all the children grow up rich in the knowledge of this Great Imam and beloved of Muhammad saws and Allah. Salaam aleikom,Shukran for sharing this information I’m new in Islam so my knowledge is very limited. i am abdush shakur qawii one who follows qur’an and the sunnah of the prophet muhammad (saws) and the followers of his successers (PEACE BE UPON THEM ALL AND ALLAH’S MERCY AND HIS BLESSINGS. FROM THE FIRST OF HIS SUCCESSERS ABU BAKR,UMAR,UTHMAN AND ALI . I AM A TRUE SUNNI MUSLIM. I have know about ahlil bayt is limited,but in the history of Islam which was I knew is very respect of the same grade in life,the different between someone with the other one is TAQWA. I still have many doubt concerning shia. Can anyone guide me here? ?